This week was pretty uneventful as far as weeks go around here. We followed pretty much the same old routine as usual. The most exciting thing about our week (in the girls’ minds) is that they finally go to start piano lessons. I’ll admit that I’m pretty excited about them learning to play piano, too. I participated in band and choir when I was in high school and some of my fondest memories are from performing with my friends. So, I’m glad that they will be learning this skill that will hopefully result in new friendships and fond memories down the road as well. Here in our part of the world, we’ve received a BUNCH of rain over the past couple of weeks. I’m sure that we will be thankful for it all come summer time when it gets so hot that it’s almost unbearable. We typically have several weeks if not months of completely dry weather in the summer and it almost always ends up drying out our lakes. And since we live right on the lake, it makes for a much prettier sight to look out and see water than dry cracked ground covered in weeds. The girls both spent the night with their Gamaw last night. We all feel so incredibly blessed to have the close knit family that we have. When I was growing up, we didn’t live close to my extended family and therefore we really only saw cousins, aunts, uncles, and grandparents on major holidays. There was, however, our one week visit to Grandma’s house that we looked forward to every summer. I’m sure my mom looked forward to that week just as much as we did. 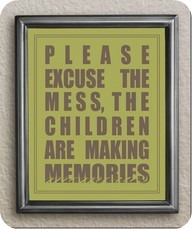 But, in all honesty, I feel like my kids have it made! We live about 20 minutes from my parents ~ and because we’ve pretty much always lived close by, they have grown up seeing their grandparents very regularly and they have developed an amazing relationship. I know that there are lots of kids who are close with their grandparents, but I was never one of those kids……so it means a whole lot to me that my kids are lucky enough to have it. Family is such a blessing. Husby bowled in his monthly travel league this weekend and did very well. Having the opportunity to get out for one weekend a month doing what he really loves AND make a little extra money at the same time is something he really looks forward to. And during the rest of the month, he works so hard to support our family, I know that he really treasures his monthly get away (even when it isn’t an overnight trip!). That’s about it for us!